Ok. I know, I know. I have a small obsession with mini Christmas trees. I've made Christmas tree advent calendars, trees from pipe cleaners and cardboard, and mini paint chip Christmas trees. So today's post probably won't come as a surprise to you. But I just had to share these trees because they're so cute! And...there's a twist! We'll be staying in Cali for Christmas this year, so we won't see our family and friends on the East coast. 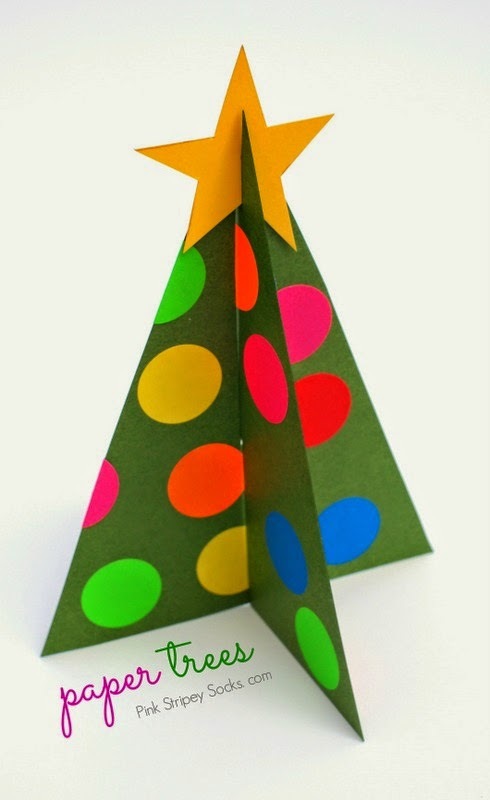 I wanted to share some Christmas cheer with them, so I made a bunch of Paper Christmas Tree Packs to go into their Christmas cards! 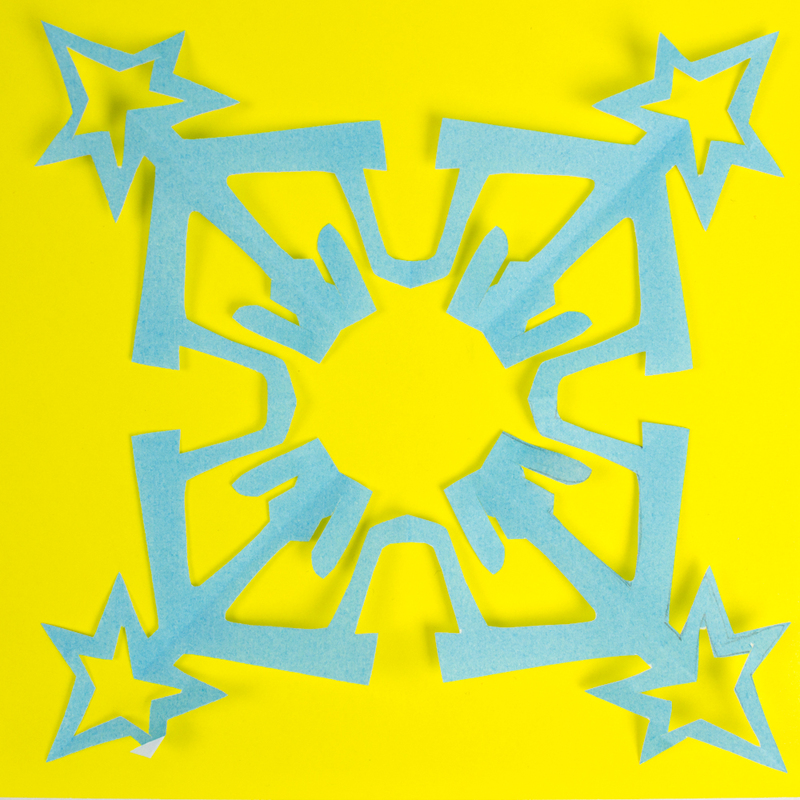 Each pack contains all the materials needed to make a lovely paper Christmas tree! Keep reading to see how I made different shaped bokeh! Christmas crafts? Christmas crafts? Ok, I haven't completely gone bonkers... it's just that the stores have started putting out their Christmas things... so I wanted to join in on the fun. Last year I had a lot of fun Christmas crafting (remember the village made from Plaster of Paris?) This year I fell in love with all of the beautiful colors of paint swatches from Home Depot... so I took a bunch home (shhhh, don't tell anyone) and made a bunch of cute paper Christmas trees with Chuck. Then I wasn't sure what to do with our little army of trees. At first I was going to turn them into a garland of some sort, but then realized that they would make for a really simple and modern take on a DIY Christmas Advent Calendar! 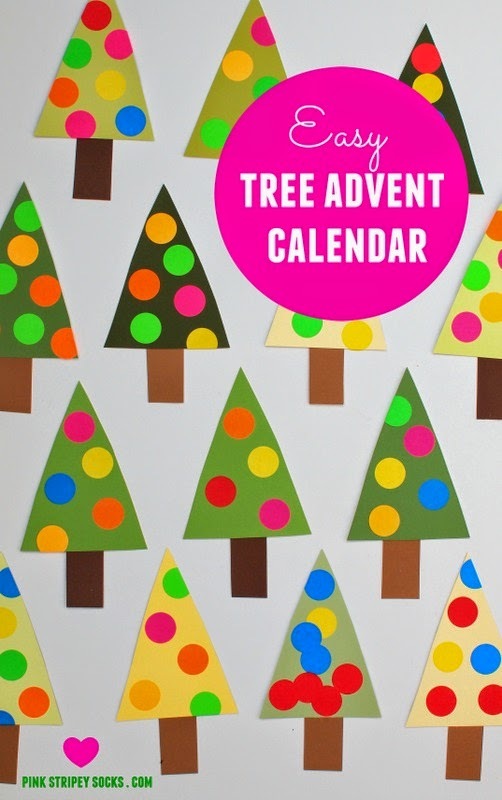 Easy Christmas Tree Advent Calendar! Do you have a wreath hanging up in your home? No? 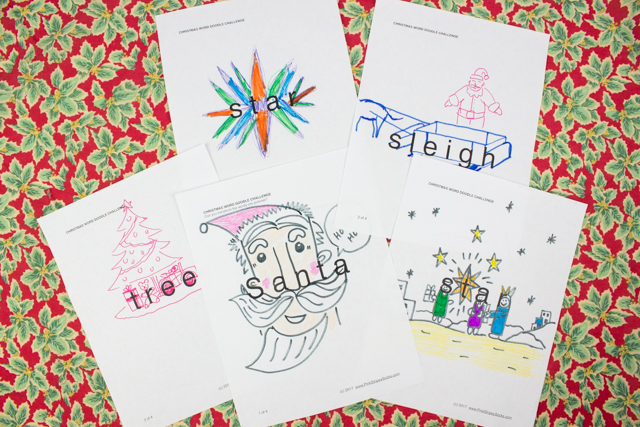 Well hold off on buying one, because you can easily craft one with the kiddos! 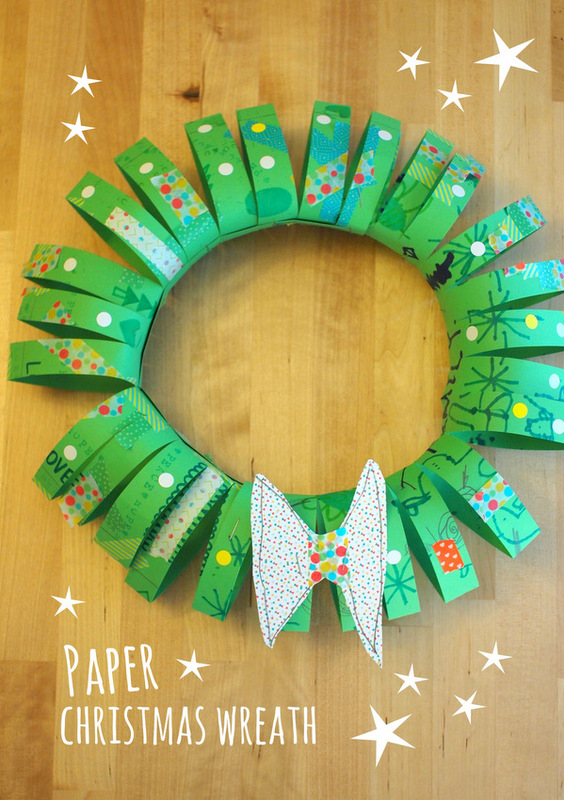 Today's Christmas Craft is seriously adorable and SUPER EASY to make. Really! And here's an added bonus- you probably have most of the materials at home already! Can you believe that it's already mid November? Time sure flies by quickly! Even though it's not yet Thanksgiving, my son's already asked me to put up the Christmas tree and make Christmas Crafts. Well, we still haven't put up the tree, but we have been crafting more together at night. Recently, we turned a bunch of old makeup sponges into mini Christmas trees. I know, they're not as beautiful as the real thing... but for now, they'll do! What do you get when you combine a Paper plate craft with a Christmas craft? Ok... well, a lot of things come to mind... but today I'm sharing one idea. 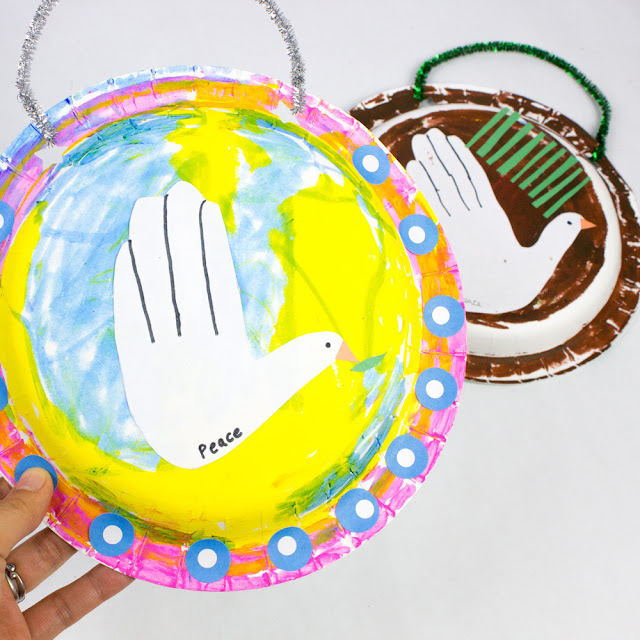 It's a super easy paper plate Nativity craft. 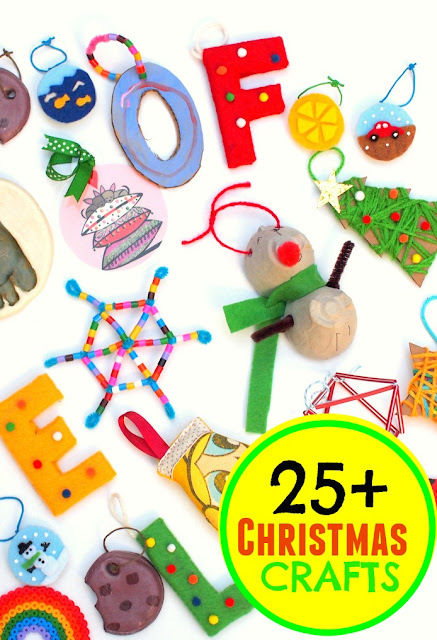 This craft is so quick to set up and make that you can do it with several kids at once. (Ooh. Wouldn't this be neat for Sunday school? Church? A playdate? ) 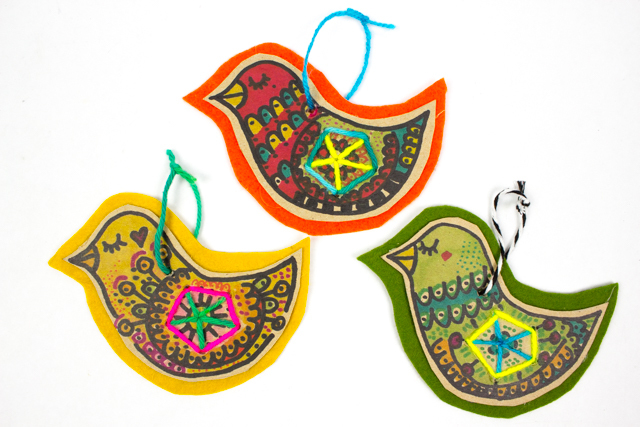 And this craft is so easy that even young preschoolers could make them too. I've always loved Christmas. It's the time of year when twinkly lights decorate the dark nighttime sky. And, it's the time of year that I'm reminded to hope because of God's great love for us. Nowadays, Chuck and I love looking at the miniature Christmas village on display at our local craft store. We always walk around oohing and ahhing over the little houses, ferris wheel, and tiny dog playing in snow. It's magical. So that's why I made us our own miniature Christmas village out of materials that we had lying around our apartment. Let's Make a DIY Mini Christmas Village! Here's a super easy way to decorate your home for the holidays! 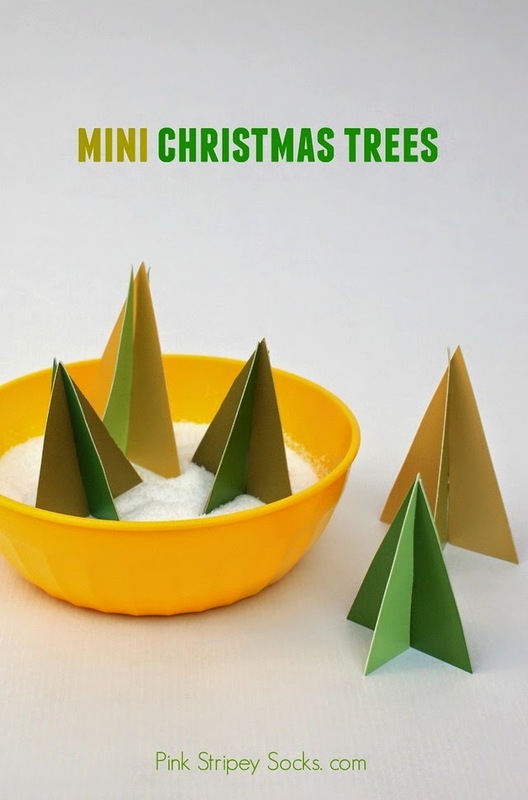 Make a bunch of mini Christmas trees! Yesterday I shared how I made a miniature Christmas village out of plaster of paris. Today I just wanted wanted to show how I quickly made these uber cute cardboard and pipe cleaner Christmas trees for my village. 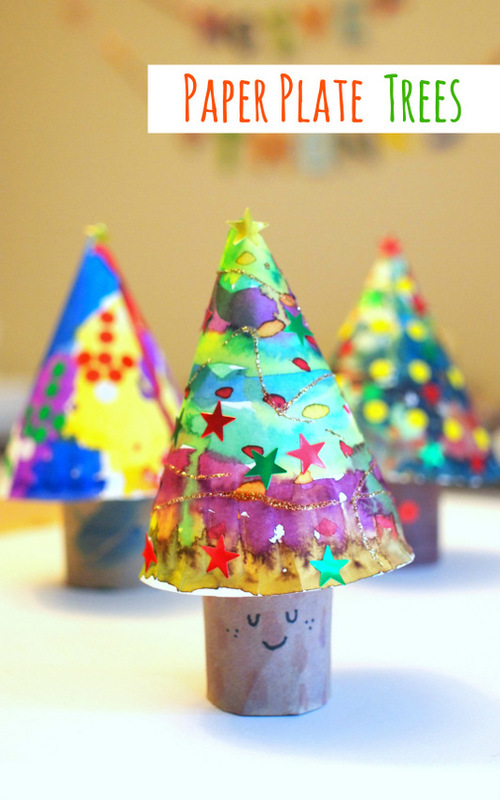 (And if you like these trees, check out my tutorial for mini paint chip trees! Print out the template to make one large and one small tree. Cut out the Christmas tree parts. Cut our your parts with an exacto knife. Slide both pieces together and you've got yourself a mini tree! 1. Doodle out a tree on a piece of paper. 2. Bend a green pipe cleaner around your doodle. Wrap both ends together to secure your tree. Trim excess bits off. Repeat this for all three tree shapes. 3. Tie the three trees together by wrapping the tops and bottoms together with pipe cleaner. 4. Gently separate the branches and glue small pom poms on with tacky glue. Let me just start this post by saying that I had intentions to take tons and tons of photos during Christmas. But, I didn't touch the camera once. I just enjoyed spending time with family. I was also so happy to see Baby Chuck surrounded by people who loved him. Seeing him laughing and smiling and giving sloppy wet kisses to his relatives? Those were definitely my favorite Christmas memories from this year. Oh yeah, here's one more funny memory. Our aunt and uncle also gave us a pair of glasses that would create snowmen shapes out of Christmas lights. You just put on the glasses and stare into the Christmas lights. Then, presto! The lights magically turn into snowmen ligths. Cool, right? I'm such a dork. I spent at least half an hour staring into the Christmas lights and rocking my head back and forth just to make the snowmen dance. Ah-maaaa-zing I tell you. Ah-maaaa-zing. The lights also gave me an idea for a craft that I wanted to try...so stay tuned. 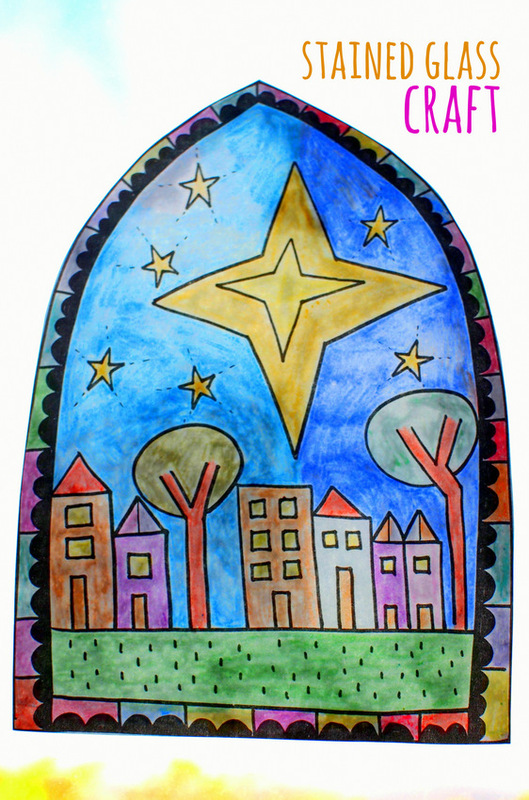 "May this season be bright and lovely as we celebrate the God who sees fit to greet us as a child and to send angels and songs to us on all our dark nights." Hope you had a wonderful relaxing, and refreshing holiday break as well.